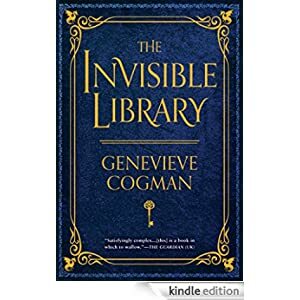 Irene is a professional spy for the mysterious Library, a shadowy organization that collects important works of fiction from all of the different realities. Most recently, she and her enigmatic assistant Kai have been sent to an alternative London. Their mission: Retrieve a particularly dangerous book. The problem: By the time they arrive, it’s already been stolen. London’s underground factions are prepared to fight to the death to find the tome before Irene and Kai do, a problem compounded by the fact that this world is chaos-infested—the laws of nature bent to allow supernatural creatures and unpredictable magic to run rampant. To make matters worse, Kai is hiding something—secrets that could be just as volatile as the chaos-filled world itself. Buy this gaslight fantasy for only 99 cents today.